Natural Health News — An avocado a day could help keep the eye doctor away, according to new data. The reason? Avocados are contain lutein, a natural antioxidant in the carotenoid family, and beneficial fats that may aid its absorption. Currently we know of about 600 different carotenoids that exist in nature; lutein is one of only two (the other is zeaxanthin) comprehensively shown to help maintain eye health as we age. It works by filtering out blue light which can damage the macula – the small area at the centre of the retina responsible for what we see straight in front of us, at the centre of our field of vision. The yellow colour of the macula is comes from the lutein and zeaxanthin in our diets. Macular damage, or age-related macular degeneration, is a leading cause of vision loss among people age 50 and older and lutein supplements are often recommended to help maintain the thickness or density of the macular pigment. » Researchers in the US have found that a daily avocado can help preserve the macula – the part of the retina responsible for our central vision. 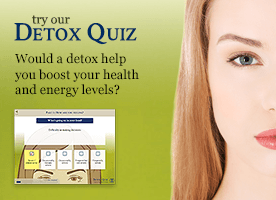 » Avocados contain lutein – though at lower levels than are found in most supplements. Yet daily consumption doubled the density of the macular pigment compared to previous studies using supplements. » Researchers speculate that the fats in avocados aid bioavailability. » A supplemental finding was that the increase in macular pigment density was related to improvements in working memory and problem solving. The small study, published in the journal Nutrients, involved 40 healthy adults aged 50 and older who ate either one avocado each day or a control diet consisting of either one potato or a cup of chickpeas daily over a six month period. Chickpeas and potatoes were selected as a control diet because they have a similar calorie content to avocados but contain a negligible amount of lutein and monounsaturated fats. After six months, the scientists from the Jean Mayer USDA Human Nutrition Research Center on Aging at Tufts University found that blood lutein levels in avocado group had significantly increased, by 25%, compared to a 15% increase in the potato/chickpea-control group. However, only participants in the avocado group experienced significant increases in macular pigment density (MPD). Lutein supplements typically contain 10-12 mg of lutein and 0.5 mg of zeaxanthin per day. Previous research by this same team found significant increases in MPD after four months of supplementation. In contrast, avocados provided a lower daily lutein dose (0.5 mg) but, in this study, more than doubled the MPD compared to the supplement. “This suggests that other components in avocado are particularly effective in the enrichment of neural lutein. The most likely components are monounsaturated fatty acids,” they wrote. The study also had a bonus finding: the increase in macular pigment density was related to improvements in working memory and problem solving. The researchers were not able to explain the finding but, earlier this year, data examining paediatric brain tissue suggested that 60% of the total carotenoids in the paediatric brain were lutein, even though lutein is only about 12% of the carotenoids in the average infant’s diet. This accumulation suggests that the brain has a preference for lutein. Other studies have shown that consumption of lutein is linked to the preservation of what is termed the “crystallized intelligence” – essentially the ability to use the skills and knowledge one has acquired over a lifetime. Lead investigator, Jean Mayer, observed that a balanced diet including fresh avocados may be an effective strategy for health. 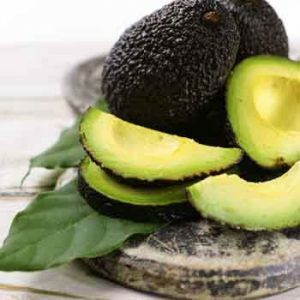 “The results of this study suggest that the monounsaturated fats, fibre, lutein and other bioactives make avocados particularly effective at enriching neural lutein levels, which may provide benefits for not only eye health, but for brain health,” she concluded.